I have received your letter, dated April 3, 2019, which articulates your concerns about climate change and its impact on our environment, economy and communities. On the incredible importance of this issue, let me simply say that: I agree. This is one of the most important challenges facing our collective future, and I’m pleased that the University of Pittsburgh is actively engaged in teaching, research and services that directly or indirectly address this challenge. After all, a great university should be tackling the greatest challenges. In the context of the University’s own operations, we are making strong progress. 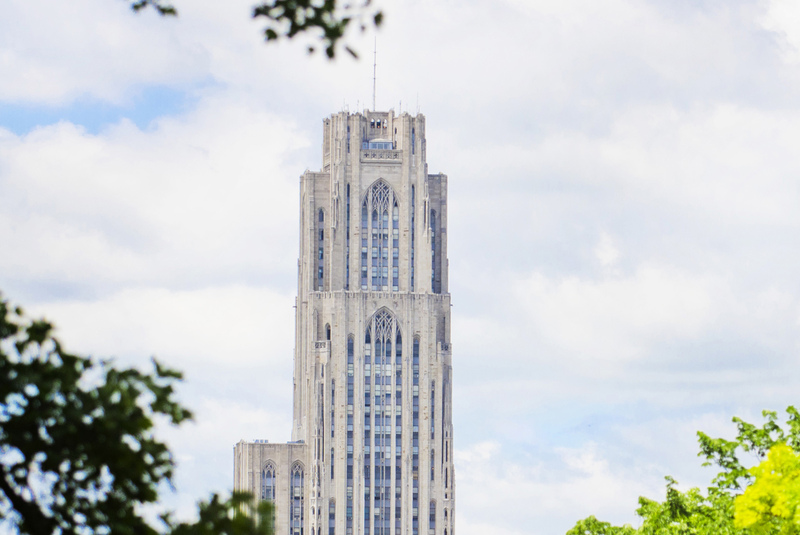 The Pitt Sustainability Plan sets 61 specific goals that aim to dramatically improve sustainability across the University by 2030—including, for example, a 50 percent reduction in greenhouse gas emissions. We are now focused on implementing this plan. Reducing greenhouse gas emissions by 22.2 percent since 2008. Creating the University’s first-ever Office of Sustainability and selecting Aurora Sharrard to direct Pitt’s sustainability efforts. Designating six faculty fellows focused on sustainability teaching and research. Committing to purchasing 100 percent of the power produced by a local, low-impact hydroelectric plant, which will supply about 25 percent of the annual electricity needs on our Pittsburgh campus. Forming a committee of students and faculty members charged with evaluating the landscape of socially responsible investing. 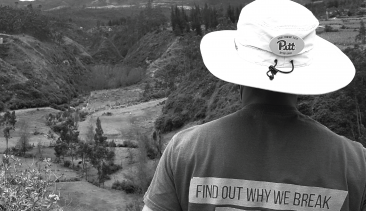 Relaunching the Pitt.edu website devoted to sharing the University’s sustainability activities on and off campus. Continuing to offer free transit fares for Pitt students, faculty and staff. Pursuing LEED certification or better for all large building projects involving design work. Supporting a variety of sustainability-centered service and engagement opportunities, including Recyclemania, new departmental green teams and stewardship programs, Clutter for a Cause and four signature volunteer days of service. In the year since we finalized our sustainability plan, the University’s actions on sustainability have garnered increasing praise from our regional, national and international partners. 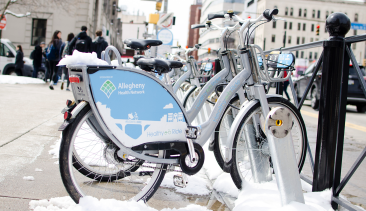 For example: In 2018, for the first time ever, we earned both a STARS Silver certification from the Association for the Advancement of Sustainability in Higher Education and a Bronze Bike Friendly University designation from the League of American Bicyclists. We’ve also earned numerous food-focused awards, including a U.S. EPA Mid-Atlantic Regional Food Recovery Award for composting and food rescue. And, most recently, we won the Sustainable Pittsburgh Challenge—our fourth win in as many years. I am incredibly proud of the progress our university has made in this area. But, I also understand there is still much work to do. On the topic of fossil fuel divestment, Pitt’s investment strategy is set by our university’s Board of Trustees. 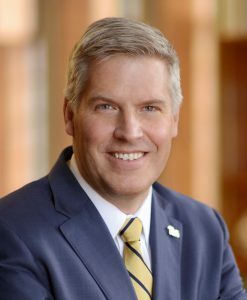 Consistent with its obligation to manage these funds for future generations of Pitt students, our Board has set an extremely high standard for considering divestments. This is because there is a clear trade-off: A restricted investment strategy will lower returns and impede our ability to support future Pitt students. This high bar doesn’t prohibit action, but any proposal to the Board on this issue must make a compelling and clear case to justify divestment and the associated trade-off. My role in this matter—as a member of both the University community and the Board of Trustees—is to ensure that our university community has productive avenues for engaging the Board on these types of decisions. Currently, we are working to develop an environment, social and governance (ESG) policy for our investment management activities. This policy, generated by our Office of Finance, would specifically incorporate ESG principles into our fund and manager selection process. These principles can have a powerful effect on the makeup of the investment portfolio. This work would occur independent of the investment strategy approved by the Board, and I view the forthcoming report from the Socially Responsible Investing committee as a key resource in the policy’s development. Beyond this effort, I am working with the Board to ensure that there is a clear process for groups like the Fossil Free Pitt Coalition to raise proposals to the Board regarding its investment strategy. The Chair of the Board and I both agree that our current process is unclear and results in too much ambiguity for interest groups to know where their proposal stands with the Board. We believe that we can do better and are working on some changes within our committees to make the process more defined and transparent. I believe that these two developments will improve our efforts to manage the University’s portfolio in a way that better aligns with our values while supporting student efforts to connect with our Board members when an issue requires their consideration. Thank you for your dedicated advocacy on this vital issue and for giving me an opportunity to showcase Pitt’s sustainability successes to date. I am heartened by the steps we’ve taken so far, and I expect our university community to continue making strides in supporting a greener, healthier and more sustainable future for all.